Sherri Mason will speak Thursday during a free program at Presque Isle State Park’s Ridge Center. The Perils of Plastic will be the topic of a talk Thursday at the Tom Ridge Environmental Center. Sherri Mason, a plastic pollution researcher and professor of chemistry at the State University of New York at Fredonia, will present the talk at 7 p.m. at the center, 301 Peninsula Drive. The event is free and open to the public but seating is limited to 175 people. Doors open at 6:30 p.m.
Mason and her partners conducted the first survey for plastic pollution within the Great Lakes and found plastic pollution in Lake Erie rivaling those found in the world’s oceans. 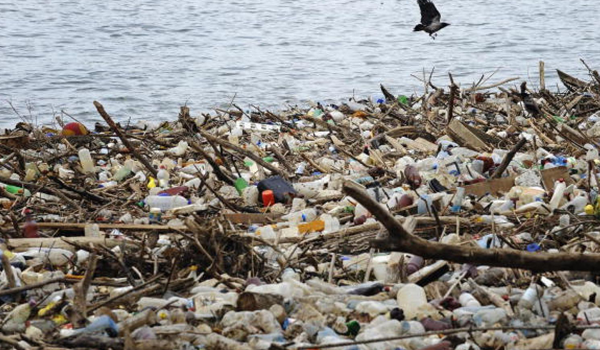 The researchers hope to build an understanding of the kinds and abundance of plastics found in the Great Lakes and other freshwater systems. For more about the talk, call 833-5049. For more about Mason’s research, visit http://home.fredonia.edu/earth/faculty-mason.